~ Kerastase's Official Australian Flagship. 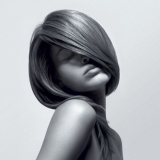 A complimentary hair consultation is provided to every client to make sure you receive your very personalized services and treatments aimed to enhance the inner health of your hair, bringing out the shine so you can look in your best. Whether you are doing just a hair cut or getting a colour service, you will thoroughly enjoy your REVO experience: come in to our comfortable, spacious and modern studio, sit comfortably on our italian fine leather chairs, lay back and relax while we massage your scalp during shampoo and lastly, enjoy our unique complimentary drink services by T2 and TWG. Book your appointment today and experience hairdressing at its best, most of all, at very affordable prices. Visit our website at www.revo.com.au for more information. *REVO is a Registered Trade Mark of REVO PROFESSIONAL GROUP. We are a leading Kerastase Salon and service centre providing complete range of Kerastase In-Salon Rituals, Treatments as well as exclusive Kerastase take-home products and treatments.